Fresh Donor Eggs Vs Frozen Donor Eggs: Which one is best for you? There has been a huge debate in the field of assisted reproduction why fresh donor eggs is always better than a frozen one. You may be less likely to have a baby with a frozen egg than with a fresh one, according to a study published in the Journal of the American Medical Association. The new study, published in August 2015 has found that in-vitro fertilization with frozen eggs has a significantly lower live birth rate. For your understanding, we have compiled this article based on the findings and studies of the reports conducted by the team of researchers. Nowadays, an increasing number of women undergoing in vitro fertilization (IVF) use donated eggs for successful fertilization to occur. Potential egg donor profiles in India tend to be selected from the young women whose age is between 20 to 30 years-old, and has been traditionally used, with the creating embryos that could be transferred into the uterus of the women for term. The extra embryos would be cryopreserved for future use. However, some IVF centres have established frozen donor egg banks, for women to have future pregnancies. If we go back to the history, the idea of fertilizing human eggs in a laboratory was controversial, when Louise Brown, the first IVF baby was born in 1978. According to fertility experts, though freezing of eggs has also evolved with the rise of assisted reproductive technologies but there is always the risk that some eggs may not withstand the freezing and thawing process, even if vitrification method is used. It has been found that sometimes the eggs do not divide as expected and leads to a negative pregnancy test result. In some cases, a miscarriage also happens. In comparison to this, women are in need of an egg donor can use fresh embryos from an egg donation agency in India and they will be assured about 10-15 mature eggs, that will be fertilized and cultured and then transferred to the uterus, thus increasing your chances for successful pregnancy. Furthermore you can ask as many questions about the donor profile that you are choosing, education family background and other questions while you can never have the chance to ask those questions when using frozen eggs. Almost every IVF specialist will agree with you that the chances for successful pregnancy increases with fresh egg donation cycle than the frozen ones. The studies indicate that the frozen eggs lost quality during freezing or thawing. However, many fewer frozen eggs are used for a given procedure than when fresh eggs are involved. Our Egg Donation Program Coordinator will get back to you within 24 hours. Egg donation is considered as a blessing for the couple who are desperately waiting to have a baby. And donating your eggs to infertile couples to help them fall pregnant is a noble gesture. In the contemporary modern world, many women come to forward to help prospective parents by providing their donors. This work is facilitated by the ART Banks in consultation with the reputed clinics across the country. Egg donation highlights the blessing in a sense that brings a step closer to pregnancy. The embryo is created from the donor eggs and sperm from male partner and is then transferred back to the woman’s uterus. The demand for egg donors is increasingly nationally because of the growing infertility rates. With the advancement of medical technology, the process is done in a fair manner with more ease. Fair, tall and, most importantly, vegetarian egg donors are the couple’s top wishlist, as per reports. Like other Assisted Reproductive Techniques, egg donation is also step by step process and takes minimum time with more ease. The egg donor who wished to donate her egg contacts the egg donor agency Delhi and then signs a contract that defines that the donated eggs and future embryos becomes the property of the recipient couple. The egg donor essentially undergoes an IVF cycle while the recipient is being prepared for embryo implantation. The donor’s ovaries are stimulated so that multiple eggs are produced, and then the eggs are retrieved, fertilized and the embryos are cultured. The best one or two embryos are chosen, and are being transferred into the intending mother’s uterus under ultrasound guidance. It is estimated that the pregnancy rate using donor egg is approximately 75-80% with a delivery rate of over 55% per embryo transfer cycle. Seed ART Bank is the most recognized egg donation agency in India with a remarkable success rate. For many prospective parents, finding egg donors in Delhi, the capital is indeed a tedious job. That is why, we have a large egg donation database and the role of agency plays a vital role in the process of egg donation. Couples wish that their donors remain anonymous and we at Seed ART Bank fulfill the wish by putting all the information as confidential. We get back to you within 24-Hours. 1.Great faith in the skill of doctors and their results. 4.In the surrogate mother process in India, the woman’s uterus remains intact; she does not lose any organ. In fact, it can be compared to blood donation, where blood once given another person reforms and benefits both the giver and taker. In medical terminology, gestational surrogacy is a method of assisted reproduction in which embryos created by IVF are transferred into the uterus of a woman genetically unrelated to the embryos. Prospective parents opt for Surrogacy- for women without a functional uterus; for women with underlying medical problems which could cause great risk to mother or baby during pregnancy; for women with previous history of failed IVF cycles without a known cause; and when used in conjunction with donor eggs, to allow conception for couples. The eggs are fertilized and embryos cultured for three to five days in the laboratory. On the day of transfer, the best embryos are selected and are placed in the uterine cavity of the surrogate mothers in Delhi. The number of embryos transferred largely depends on the age of the woman producing the eggs and the quality of the cultured embryos. The pregnancy success rate of the surrogate mother process India is also depends primarily on the age of the woman providing the eggs. In cases where donor egg is utilized, a situation with both optimal egg and uterine factors, the success rates are among the highest possible in reproductive medicine today with pregnancy rates of 75-80% and delivery rates over 60%. Seed ART Bank has helped patients across India to build families through egg donation and surrogacy. Our services are recognized in Delhi and all over India for providing high quality comprehensive medical care in reproductive medicine and surrogacy. Please let us know if you planning for surrogacy to enjoy the joy of parenthood. Our Surrogacy Program Coordinator will get back to you within 24 hours. Egg Freezing is one of the new and wonderful options for women who want to delay pregnancy and have a child later. By freezing eggs, they can simply freeze their eggs in pursuit of a career and use them later. Freezing eggs is technically known as oocyte cryopreservation in which a woman beats the biological clock by extending fertility. All they need to do is get an egg cell extracted from their bodies to be frozen for future use. These frozen eggs are stored and used for in-vitro fertilization (IVF) treatments whenever a woman is ready to have a baby. In India, there is an increasing trend of working women – both single and married – who want to delay pregnancy to focus on their careers, going in for freezing eggs. egg freezing cost in India for working women in India hover around few lakh bucks for preserving their fertility. With the advent of improved medical technology, a new flash-freezing process called vitrification has now made egg storage a much more realistic option. In this process, an egg is placed in liquid nitrogen at temperatures of -196°C, which instantly freezes the egg. Since the procedure was introduced, egg freezing has been successful for a large number of women. Some women diagnosed with cancer opt for freezing their eggs as a safeguard in case their fertility is affected by the cancer or in the course of treatment. It has been observed that vitrification is a far better technique. According to doctors, the age at which eggs are frozen matters a lot when it comes to its success. A frozen egg from a younger woman is always better than 35-year-old women. According to a study, there is a 47 percent success rate for frozen eggs. Most fertility experts believe success depends on the woman’s age, the number of eggs removed from the ovary and how successfully the eggs are fertilized. Cryopreservation has been around since years and it recently gained huge prominence when two large US corporations, Facebook Inc. and Apple Inc., announced they would pay up to $20,000 to their female employees for freezing their eggs and pursuing their careers. Seed ART Bank also provides the chance to women to freeze their eggs and use them when they feel to have a child later. More and more women are opting for egg freezing program India and defer pregnancies to early, even mid or late-thirties. According to experts, fertility start to decline in women as they age but egg freezing offers them an option to have their biological children whenever they want. The overall procedure is simple. An ovum is extracted and stored at our bank. It is a non-invasive process and the egg can be stored for five years. Egg donation is the process by which a woman donates eggs for the purpose of assisted reproduction. In other words, a woman provides her eggs to another couple to help them in conception through in vitro fertilization or third party reproduction. The egg collected from the recipient need to be fertilized in a laboratory dish and the fertilized egg or embryo is transferred back into the uterus. How do we Match an Egg Donor with a Recipient? All our egg donors are under the age of 32 years and preferably have children of their own, but this is not an ultimate requirement. In addition to it, egg donors have to undergo a process of medical and psychological screening to make sure they are fit and healthy to be able to donate. The process of egg donation in clinic usually consists of a series of blood tests and genetic screening to also ensure their eggs they will provide are healthy and suitable to be donated to another woman. Our egg donor agency in India takes lots of details from the egg donors to ensure a very close match between donor and recipient is done properly. A photograph is used to match physical characteristics such as hair and eye colour, height and weight. Even the details about ethnicity are collected. Once we have found a suitable match, our art team will inform you to discuss the match at which stage you can decide if you wish to accept or reject the egg donation proposal. The average success rate is 25-40 % for each treatment cycle using donor eggs. This is slightly higher than the average success rate for conventional IVF across all age groups, as donor eggs must come from someone aged 35 or under. Our goal is to make your journey as enjoyable and rewarding as possible. We understand the time and effort it takes to be an egg donor and we take care of all our donors with the respect they deserve. If you would like further information about egg donation process, please contact one of our program coordinators who will be happy to help. When a woman is unable to bear a child due to medical reasons, she needs the help of a gestational surrogate to expand their family. In gestational surrogacy arrangements, the intended mother provides the eggs for the surrogacy program. They usually choose an agency or a fertility clinic where they find a suitable surrogate that meet their needs. Typically there is a legal agreement drafted and signed by the surrogate and the intended parents. Seed ART Bank surrogacy agency is much less expensive and comprehensive than other agencies in India. In gestational surrogacy, the baby is biologically related to the intended parents and is not genetically related to the gestational surrogate – the egg usually comes from the intended mother and the sperm comes from the intended father (though donor eggs, donor embryos, or donor sperm are sometimes used). Who needs a gestational surrogate? Women who were born without a functioning uterus or who have had their uterus surgically removed. Women who have acquired disorders that make their uterus unsuitable for pregnancy such as extensive fibroids. A record of recurrent miscarriage or repeated IVF failure. Women who have a serious medical condition that will aggravate further that or put them at significant medical risk if they become pregnant. People, who become the intended parents have a chance to get a baby, linked with them genetically. The very embryos transfer is considered to be quite a quick and easy process. It is also done sometimes in couples with recurrent IVF implantation failure. Women who have a history of recurrent pregnancy loss. Gestational surrogacy is a wonderful benefit for some couples. Like all medical procedures, gestational surrogacy is successful and suitable for indicated reasons. The woman who carries the baby is known as the gestational surrogate or gestational carrier. The purpose of our surrogacy agency in India is to enable couples and individuals to become parents with the help of a gestational carrier (surrogate). Our program has achieved successful results for couples all over the world. It is recommended but not required that the gestational carrier be a woman of proven fertility, under the age of 40, and with at least one healthy, living child. What you should know about ART Treatments? Assisted reproductive technology (ART) is the fertility treatment to achieve pregnancy through various procedures such as in vitro fertilization in which eggs are removed surgically from the woman and mixed with the sperm in the laboratory dish. The embryo created is then transferred into the uterus or are donated to another women. Besides IVF, the other procedures of ART include artificial insemination, in vitro fertilization and surrogacy. Assisted Reproductive Technologies can be used by the infertile couples to avoid the fertility problems while preserving the genetic connection relationship with the child. The first test tube baby was born in 1978 in Britain and by 2012, about 1.5 million ART cycles were performed annually worldwide. It was estimated that more than 5 million babies had been born since first IVF procedure till 2014. 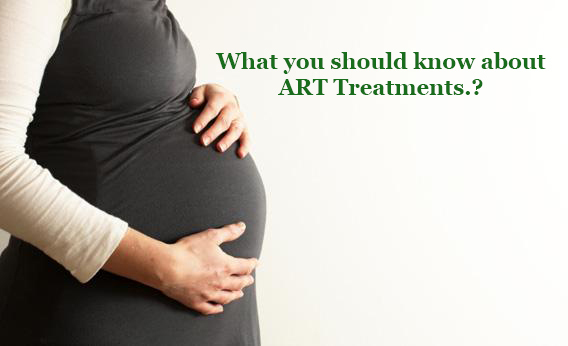 Generally, ART treatments are recommended when other treatments have been unsuccessful. In some cases, there may be a severe male infertility or tubal obstruction. In-vitro fertilization-embryo transfer (IVF-ET), and frozen embryo transfer (FET) are the main procedures that comes under ART. With the development in ART sciences, in vitro fertilization-embryo transfer is having the largest market segment due to its higher success rate. In order to increase the success rate, time lapse imaging system is used during the treatment procedure where clear picture of egg division are recorded and fate of embryo has been decided. The developments in the assisted reproductive technology is likely to increase further due to growing number of infertility cases, rising disposable income, increasing number of smokers, obese population and stress levels. According to the World Health Organization (WHO), globally 1.9 million obese and 600 million people were diagnosed to be overweight. According to a study states that six out of ten people suffer from stress at work place. One in seven couples globally experience some form of infertility. Infertile couples who seek treatments through fertility clinics usually get in touch with surrogacy agencies. Surrogacy agencies in India have tie-up with the fertility clinics. Seed ART Bank is one of the leading ART Banks in India that provides various surrogacy services to help infertile couples. Our huge collection of Surrogate Mothers and Egg donors has undergone medical and psychological screening before they are enrolled into our program. We provide support and help to prospective parents in fulfilling their parenthood dreams.